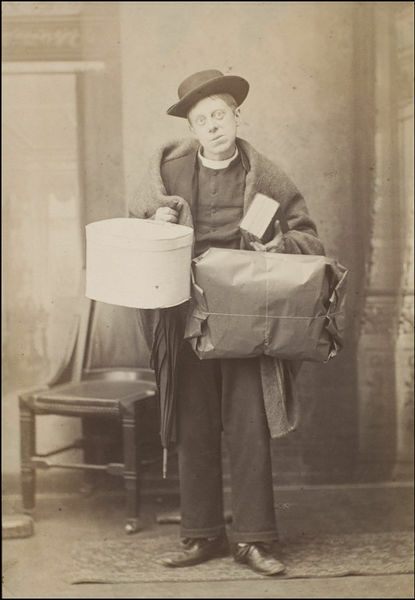 Photograph of W. S. Penley as the Rev. Robert Spalding in The Private Secretary at the Globe Theatre. Sepia photograph of W. S. Penley as the Rev. Robert Spalding in The Private Secretary at the Globe Theatre. Photograph of W. S. Penley as the Rev. 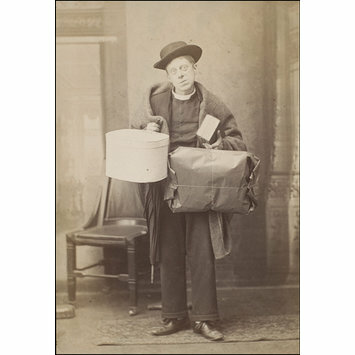 Robert Spalding in The Private Secretary at the Globe Theatre in 1884, Guy Little Collection.